Nail art is fast picking up and has been adding value to latest fashion trends. It has become an integral part of manicures. Without having done a cool nail paint, the manicure looks incomplete. Beautiful nail decoration adds a touch of glamour to your entire look. You can enhance the beauty of your nails by trying out simple to sophisticated nail art designs. One of the most funky designs is 3D nail art, which has become a craze among fashion crazy people. Various creative 3D nail art designs you can apply to your fingernails, thumbnails and toenails. 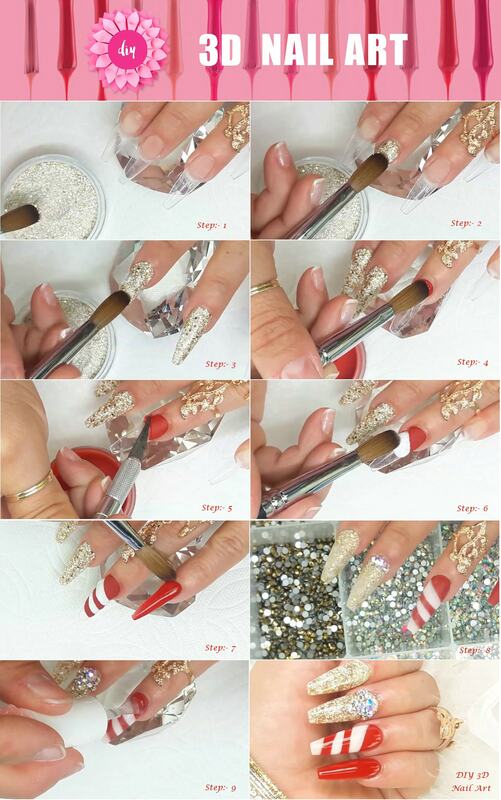 3D nail art is not a tough nut to crack and can be easily achieved. 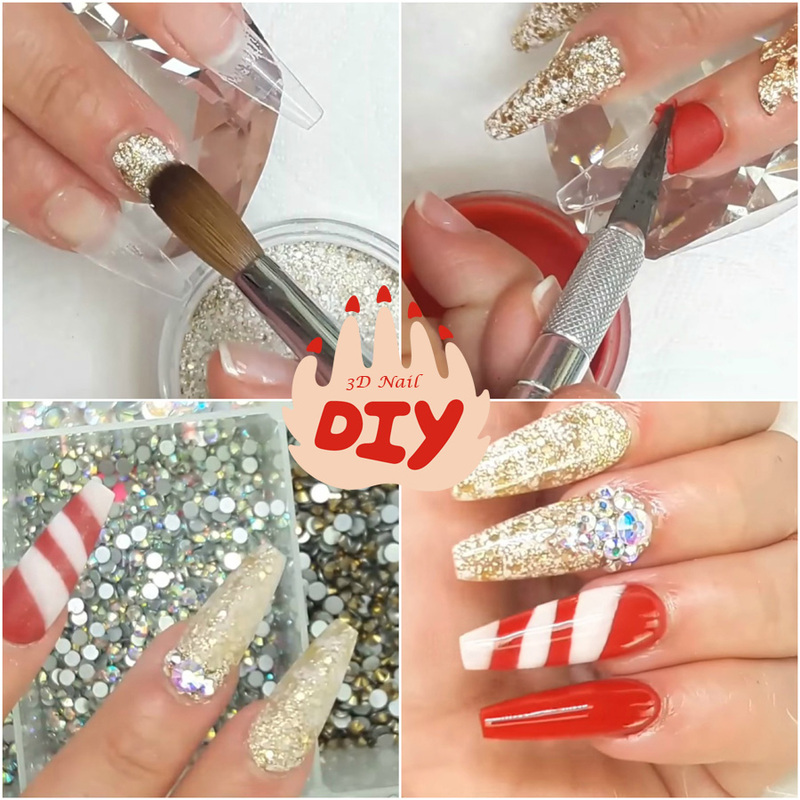 You can learn from professionals through various training courses or if you do not want to go into much details, you can try some amazing and simple DIY 3D nail art tricks. All you have to do is just take some time out to practice these simple tricks to achieve best results. In order to get a good 3D nail art done, you no more need to visit a beauty parlour as we are going to share some fabulous DIY nail art tricks here. You can also go through some good YouTube videos if you are a beginner. You can apply it on fake nails too. The benefit here is that if you mess up badly while applying a design, you can easily take out that fake nail and start afresh. Another question which crosses mind is – from where we can get 3D nail art supplies? There is plethora of options available online for you to buy such supplies. If you are a beginner, you can buy a 3D nail art set available online. If you just want to use your creative skills, buy those individual items.